Football Fans Round the world had a fulfilled weekend as our favorite football clubs won, lost and drew their way into our hearts again. The weekend games started with Juventus playing against inter milan on friday winning 1-0 thanks to a single goal from Mario Mandzukic. On Saturday Liverpool fc won 4-0 to Bournemouth FC, Mo Salah scored 3 beautiful goals,. Arsenal FC won 1-0 to Huddersfield Town. Man Utd won by an impressive 4-1 against Fulham. Tottenham Hotspur won by 2 goals to nil against Leicester city. 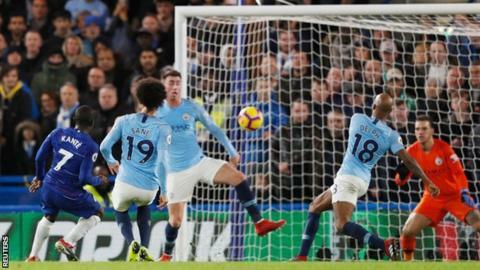 While the main match Chelsea vs Manchester city ended with the blues coming on top with 2-0 thanks to goals from Kante and David Luiz. Off to Spain where Atletico Madrid won 3-0 to Deportivo alaves, Barcelona won 4-0 to Espanyol thanks to a double free kick scored by Lionel Messi, Real Madrid won by 1 goal to nil. Bayern Munich & Borussia Dortmund won their respective games while PSG and some french teams had their games postponed.